I heard Gill being interviewed on the radio in 2013/14 (one of many TV, radio and print interviews she’s done) and I had the pleasure of meeting her last year at Moda in Wolverhampton. When you meet Gill it’s easy to see why she is so often approached for interviews. Not only is she one of our greatest Mod historians, she is a warm, open and generous raconteur. It was my very great privilege to visit Gill in her home and immerse myself in her life for a day. 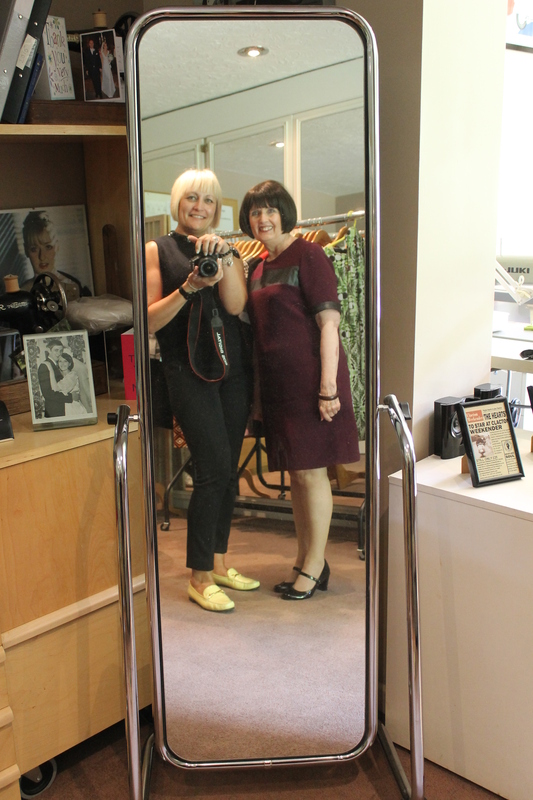 We hung out in her workshop (oh that sample rail!) chatted about life and style, and then I was given a sneak preview of her new collection (now available!). Scroll down to read my interview with Gill …I have also put together two Lookbook features to accompany this interview: ModTogs New Collections and Gill’s Wedding Lookbook. Gill, you have done many interviews over the years about the Mod scene but, what about you? 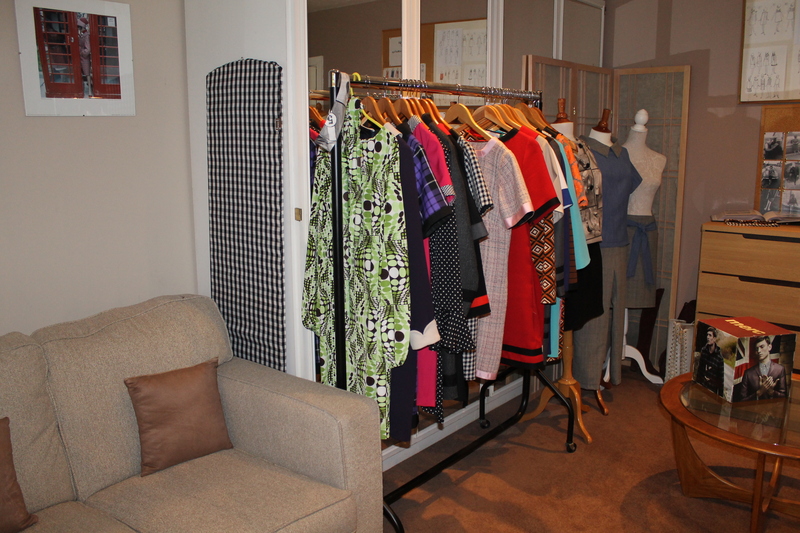 Can you tell the Mod Closet readers a little bit about yourself and where you live? I was born in Birmingham and was lucky to live in a very up and coming city at a very exciting time; Birmingham still has a very active Mod scene. I still live in the West Midlands, in Sutton Coldfield, where my late husband Del and I raised our daughters Lucy and Zoey, and ran our own businesses. I am a designer and dressmaker. I’ve enjoyed a long career supplying boutiques with my Mod inspired womenswear and accessories. I currently run my own business, selling direct to my customers. ModTogs incorporates seasonal designs and vintage patterns, both made to order. I also make bespoke womenswear. I can’t remember a time when I wasn’t designing and making my own clothes; it runs in the family. My uncle designs and makes furniture; my cousin Mark Bartholomew used to be Head Designer for Paul Smith, and my daughter Zoey is a fashion designer based in Ibiza. My mother used to recreate the latest Dior looks for the ladies of Birmingham and, when I was very small she used to give me material scraps to keep me quiet while she worked. I would draw designs and make up outfits so, design and dressmaking is something I’ve always been able to do. Simple, my passion is Clothes! I design, make and wear a classic Mod look. I also love design in home decor; high performance cars and great music and dancing. As a child I wasn’t really interested in ordinary subjects because, in my mind I was always drawing and painting from when I was really tiny. If someone gave me a book I used to draw designs of dresses all around the white spaces on each page. When I started in school I wasn’t interested in learning because I already knew what I wanted to do. The school were always giving me extra tuition because they thought I couldn’t do any of the lessons but really I wasn’t interested. When I was about nine I had a teacher, Mrs Harper I think her name was, who I had a real connection with, and I started writing all these stories. One day Mrs Harper called in the Head Mistress and said I thought you said this child couldn’t read or write? I could read and write, I just didn’t really want to because it wasn’t what I wanted to do. I told them when I leave school I’m going to design clothes. My mum had always said to me You’re not going to go to an ordinary school. What we’ll do is get you a place in an art school. But, you couldn’t just ‘get a place’ in an art school, you had to pass a rigorous set of exams. First I had to pass my 11+ and then I had three days of tests. I remember I had to paint a composition and do some architectural drawing to scale, and amazingly I passed and was offered a place. They only offered a hundred places a year, 32 for girls and 68 for boys so, to be able to get a place out of the whole of Birmingham and surrounding areas was really difficult. Back in 1957 boys were more important than girls, hence there were more places offered to them. The Mosely art school was split across three campuses. There was a school in Mosely, another in the jewellery quarter where the boys could go and work and another somewhere else, I forget where, where the boys could learn how to make furniture. The girls weren’t allowed to do those things, but that didn’t matter to me because I was only interested in designing and making clothes. I loved it, I did all these art subjects and didn’t have to do the ‘normal’ subjects. My husband Stuart once said to me “you’re not academic are you?” and I said “I chose not to be academic, there’s a difference”. I graduated art school at sixteen and have never looked back. In the late 50s I was at Art School and often went to the Jazz clubs, in and around Birmingham. There were also other clubs that played early black R&B; my music influences were different to a lot of teenagers who were listening to rock ‘n’ roll and dressing in American styles. I just wanted to be different, not like everyone else. I had this notion of becoming a Continentalist. Me: *laughing* so Gill, are you telling me you invented the mini skirt and tights? Gill: Yes, I think I did! I was a bit of a rebel and liked to cause a bit of a sensation. I studied the history of costume at art school; men used to wear dublet & hose and I had this idea of creating this really short dress with long sleeves. In 1959 I made this mini dress, which was so short it was impossible to wear stockings so, I bought a pair of long, thick black stockings and stitched them to a pair of black knickers and called them “stockings-on-knickers”. I can’t think why the name didn’t catch on! The first time I wore that outfit my mum was furious with me when I got home the neighbours saw you in that ridiculous outfit with your stockings stitched to your knickers and asked me if you were right in the head. My personal style is all about simplicity and classic tailoring. French and Italian clothes and films had a huge influence on my style; Del and I considered ourselves to be Continentalists before we were ever Mods. The 1920s Art Deco period has also been highly influencial. 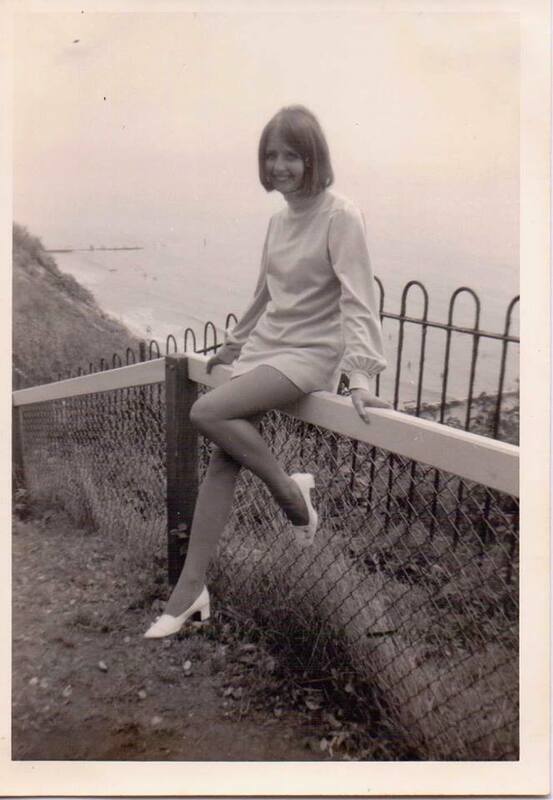 I have always designed my own clothes, such as shift dresses; I even cut my own hair into a bob in 1961. Biba would be my only choice on the high street. I rarely buy clothes; I prefer to design and make my own. I go to fabric warehouses in and around Birmingham; the Fancy Silk Store and Birmingham Rag Market for example. I always look out for vintage fabrics that would suit my Mod look. I don’t scrimp on anything! My look is very important to me and I always want to look my best. I love to buy beauty products and high quality Make up. I think it is very important for a woman to look and feel attractive. 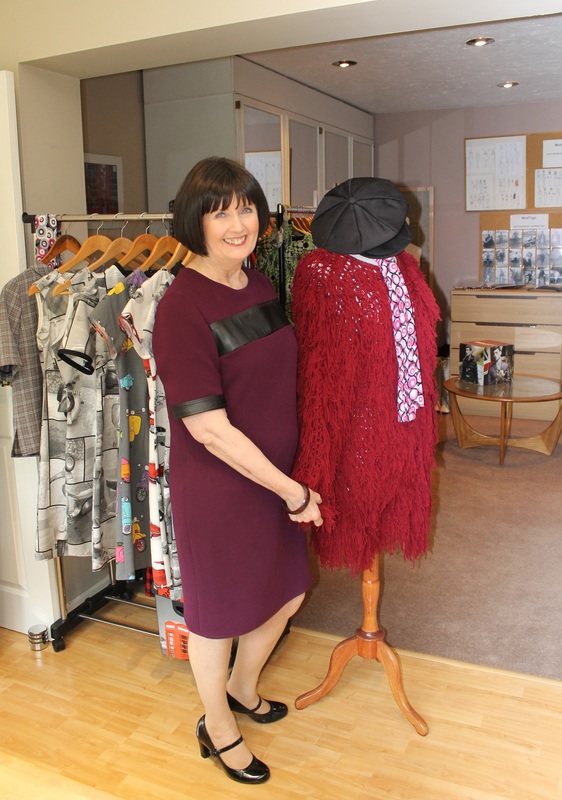 I know that you have been a designer and dressmaker since you graduated in 1960 – how has the scene changed over the decades? I graduated from Art School in 1960 and have seen many changes in fashion and style. The biggest change I’ve seen is a decline in the quality of fabric, due to cheap imports; and badly designed, cheaply made clothing. Nowadays I feel young people are more focused on celebrity and fashion than style. Compare today’s celebrities with those of the 1960s; Audrey Hepburn & Jackie Kennedy for example. There is a general lack of classic styling today. How are you able to keep ModTogs relevant? ModTogs core look is simple, classic styling; the original Mod Style. I have also introduced a Swinging Psychedelic range that will appeal to the those who are passionate about the sixties. Many people confuse the two styles, but they are very different: Mini skirts, for example were never a Mod style. It wasn’t until around 1966 that Mods started to wear shorter skirts, styled just above the knee. Where do you get your influences from for the designs and fabrics? My ideas come from many places but, in particular films and of course long conversations with my husband Stuart, who is a very stylish Mod. You’ve just launched your new range for ModTogs – can you walk us through the collection? My new range was inspired by my many trips to Brighton. When you’re attending Mod events and weekenders, for example it’s important to be styled differently for each event. With that in mind, the concept for my new range is: Wear More, Pack Less! I’ve designed a range of interchangeable, coordinating clothes that will enable the Mod woman to pack a capsule wardrobe of four or five items. What’s next for Gill Evans Catling? Brighton! The Mod weekender across the August bank holiday is a big event in the Mod Calendar. I’ll be wearing a blend of my own unique wardrobe and, of course an edit from the ModTogs Pack Less, Wear More collection. Click on the pictures below to go to our Lookbook features on the new collections from ModTogs and Gills wedding. HINT: Click on Gill’s designs to see her new collections.